Cheap flights to Greece: Athens from Bratislava for €46! Ryanair now offers really cheap tickets to Greece from Slovakia. 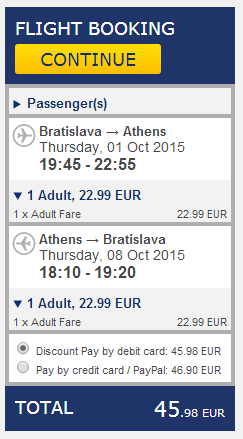 Return ticket from Bratislava to Athens will cost you only €46. You can also fly from Budapest to Athens for similar price. Travel dates are in October 2015. You can combine visit of Athens with trip to one of many Greek islands, for example flights to Santorini or Chania are available for approx. €45 and there are many buses combined with ferries too! 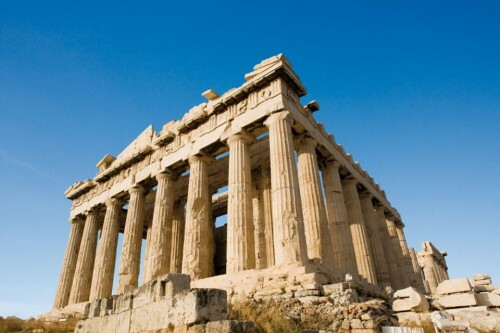 Athens offer decent prices and wide choice of accommodation after the Greek crisis. The prices start at around €20 for double room in simple two star hotels. « Super cheap flights to Iran: Tehran from Prague for €170!